Krabi has long been one of the most popular holiday destinations in all of Thailand due to its rich cultural tapestry, beautiful scenery and the many stunning surrounding islands that lay in wait within a short boat ride. Due to its ever increasing popularity there has been a great deal of wealth passing through this wonderful part of the world and as a result there have been some spectacular developments in recent years. 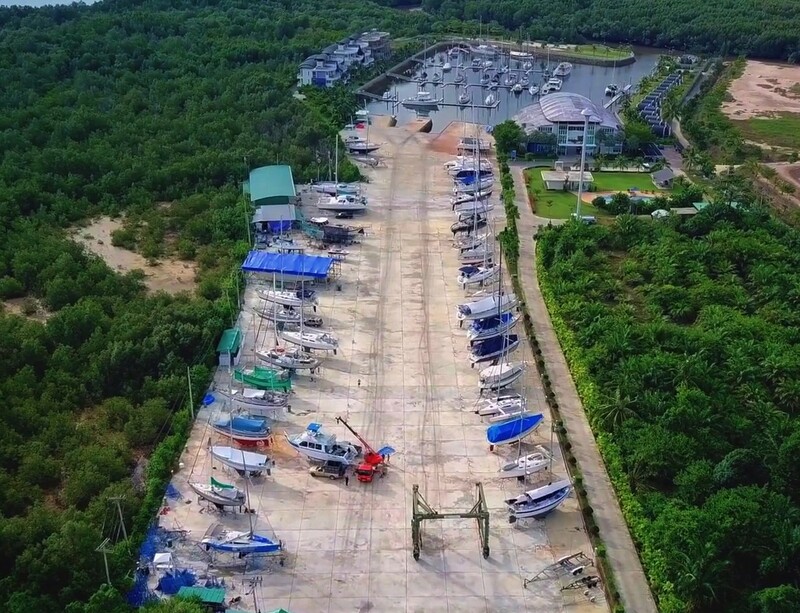 The Krabi Boat Lagoon is the newest Marina Complex in Thailand and is the only one to be found in the gorgeous region of Krabi. 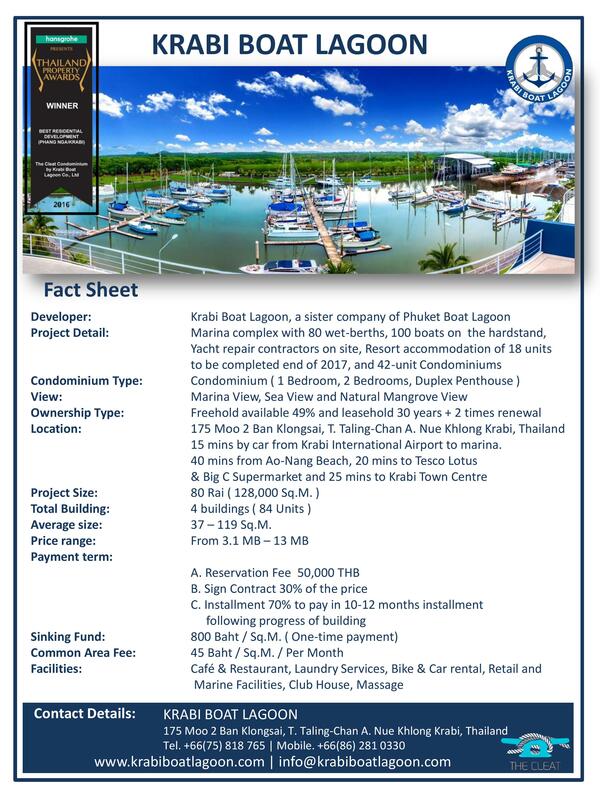 Krabi Boat Lagoon is a sister property of the renowned Phuket Boat Lagoon. While Krabi has always been largely popular you could argue that it is rapidly becoming “discovered” as a result of the regions stunning and unique natural wonders – Krabi going from strength to strength with each passing year. This spectacular Marina Complex is safely nestled amidst a magnificent Mangrove forest and boasts sweeping views of the Andaman Ocean. This lagoon is far removed from the chaos and the hustle and bustle of Krabi town and life here is rather peaceful and irrefutably serene. In Thailand, location is absolutely everything and it is fair to say that Krabi Boat Lagoon most certainly has it covered! With the airport being located just a fifteen minute drive away, and the culturally rich Krabi town just another ten; you’re never too far away from all of the action if you fancy a change of pace. Address: 175 Moo.2 Ban Klongsai, Talingchan, A.Nuea Khlong, Krabi, Thailand 81130.